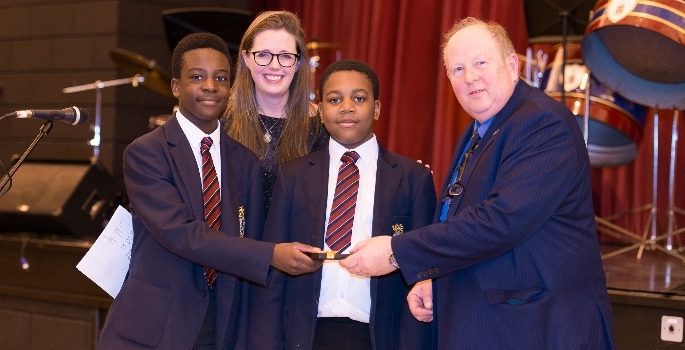 Students and staff from the Duke of York’s Royal Military School took part in the 100th anniversary Zeebrugge Raid Commemorations in Dover, to remember those killed and wounded during the most audacious amphibious attack of the Great War. The raid on the Belgian port was a desperate attempt by the Royal Navy’s Dover Patrol to stop German submarines wreaking havoc among allied shipping. During the raid on 23 April 1918, 277 men were killed and 356 wounded. 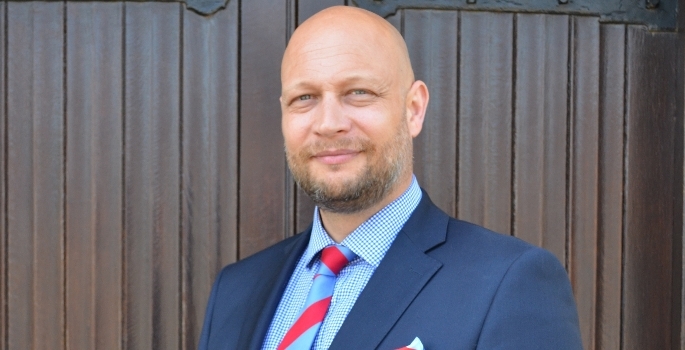 The Dover school’s Principal, Alex Foreman, laid a wreath in honour of the fallen at the St James’s Cemetery Zeebrugge Raid war memorial, Dover. 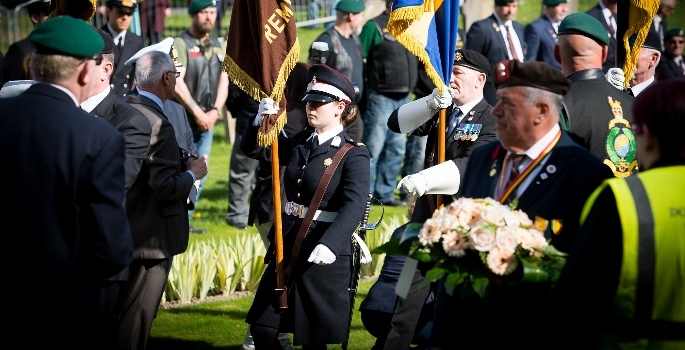 Student Niamh Proctor carried the ensign of the British Torch of Remembrance alongside other military associations at the cemetery. 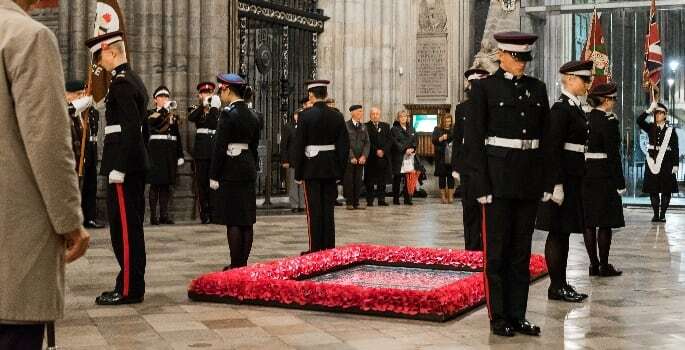 Many wreaths were laid, including those by Commandant General of the Royal Marines, Major General Charlie Stickland, and Lord Warden of the Cinque Ports, the Lord Boyce. 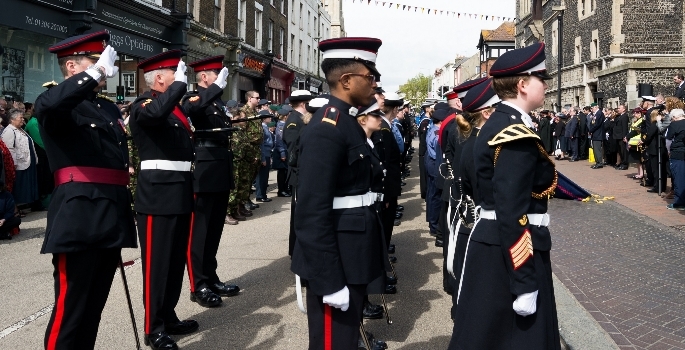 After the ceremony on St George’s Day, the 13-strong contingent from the school marched through the town with the Royal Marines, Royal Navy, civic dignitaries from Kent and Flanders, Royal British Legion and other military associations.